It can be configured to use any combination of the above lockers you need. Share Locker is a WordPress plugin that lets you hide a content on a page or a post. If a visitor wants to unlock the content, she needs to click on a social button like Facebook Share, Facebook Like, Twitter, Google+ and VK.com. This feature is very useful to make your page and web site more social and viral and to gain a lot of authority and trust for the search engine positioning. A new study conducted by Searchmetrics.com (http://www.searchmetrics.com/en/white-paper/) reveals the top Google ranking factor: Facebook Share. To find out this, Searchmetrics has analyzed search results from Google for 10,000 popular keywords and 300,000 websites in order to pick out the issues that correlate with a high Google ranking. There are a lot of plugins that let you get Like, Twitter and Google+ unlocking the content of your web pages, but Share Locker is something more. It is the first and only WordPress plugin that lets you collect the top Google ranking factor: Facebook Share! 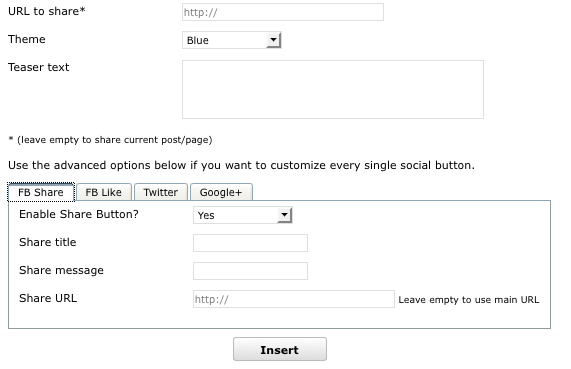 All the marketers know how important are the Social Signals, so let your site become a social signal collector machine. Share Locker lets you do this and reach the first page of Google with ease! Works fine without configuration, but fully configurable if you need. Lock any content type, text, html, images, videos, flash, ebooks, files until the visitor decides to share or like your page. 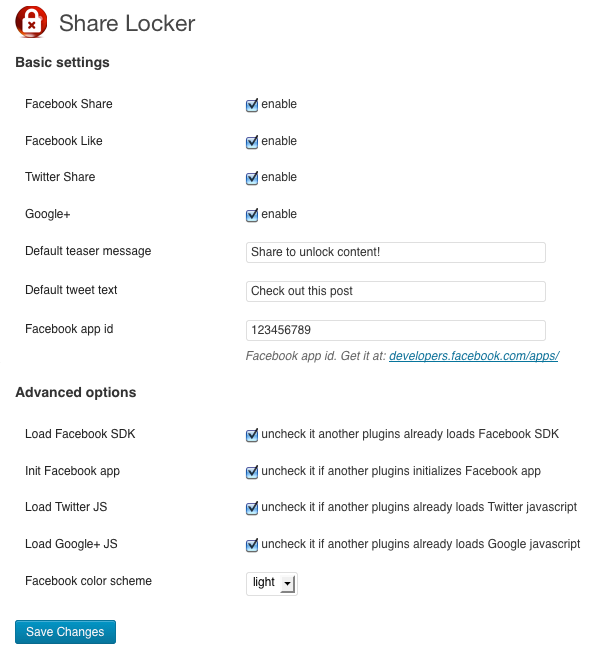 1.8 Fixed facebook-like not reloading page in some cases. 1.5 New Feature: vk.com support. 1.2 Fixed Like button on some cases.